This edition of the Mensch Report features my walking tour and interview at Round Guys Brewing Company in Lansdale, Pennsylvania. I invite you to watch my tour with Scott Rudich as we navigate the different aspects of their business. Due to the inclement weather, we had to postpone last month’s Pennsylvania Higher Education Assistance Agency (PHEAA) seminar. The seminar has been rescheduled for May 8 and will still take place at the Boyertown Area Senior High School Auditorium (120 Monroe Street, Boyertown, PA 19512) from 6:30 p.m. to 8:00 p.m. Please RSVP by calling 215-541-2388. U.S. Vietnam War Veterans are invited to attend a commemorative ceremony on Thursday, April 12, 2018 at 10am at the Red Hill Fire Company Banquet Hall (82 East 5th Street, Red Hill, PA 18076). The 2008 National Defense Authorization Act authorized the Secretary of Defense to conduct a program to commemorate the 50th Anniversary of the Vietnam War and coordinate, support, and facilitate programs and activities of the Federal, State and Local governments in commemoration of the Vietnam War. A special Vietnam Veterans’ lapel pin has been produced and will be distributed to attending veterans. In order to attend this event, the pin recipient must be a United States Veteran who served on active duty in the United States Armed Forces at any time during the period of November 1, 1955, to May 15, 1975, regardless of stationing location. Questions regarding the event may be directed to my district office at 215-541-2388.Registration is required for this event. Please call 215-541-2388. Veterans may register themselves and one guest. Plank Road and Seitz Road are scheduled to close beginning Monday, April 9, for excavation, stormwater and resurfacing operations as part of a project to improve travel and safety at the intersections of Route 29 (Gravel Pike) at Plank Road/Otts Road; Route 73 (Skippack Pike) at Plank Road; and Meyers Road, Seitz Road and Township Line Road in Skippack, Perkiomen and Limerick townships, Montgomery County, according to the Pennsylvania Department of Transportation (PennDOT). Monday, April 9, through late September, Seitz Road will be closed and detoured between Meyers Road and Fox Heath Boulevard in Perkiomen Township. Seitz Road motorists will be directed to use Township Line Road, Wartman Road and Bridge Street. Meanwhile, Otts Road will remain closed and detoured between Miller Road and Route 29 (Gravel Pike) in Perkiomen Township through May 2019. Otts Road motorists will continue to use Route 29 (Gravel Pike), Bridge Street, Wartman Road, Township Line Road, Seitz Road and Meyers Road. Motorists are advised to allow extra time when traveling near all the construction areas because backups and slowdowns will occur. Local access will be maintained up to each work zone. 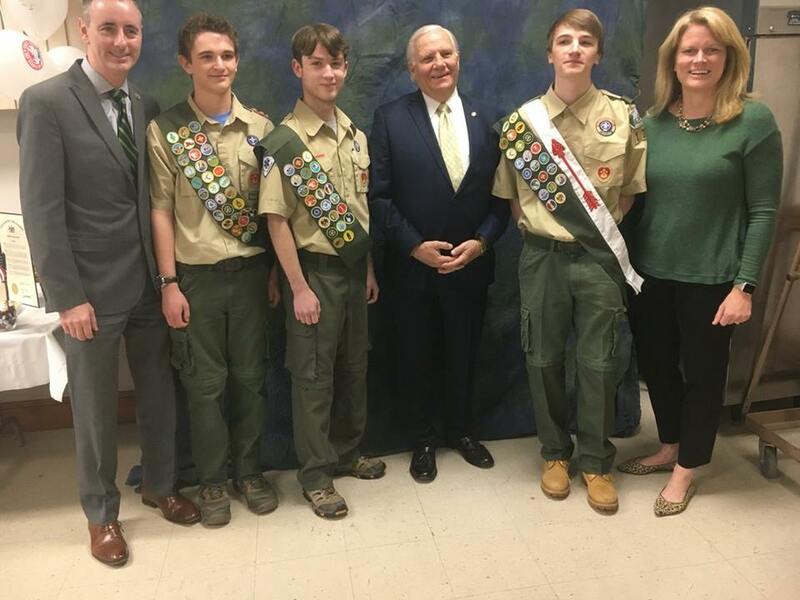 Improvements under this $11.3 million project include widening the intersection of Route 73 (Skippack Pike) and Plank Road to include left turn lanes on both roads; relocating Otts Road to align with Plank Road at Route 29 (Gravel Pike) to create a four-leg intersection; adding left turn lanes on Route 29 (Gravel Pike) at Plank Road/Otts Road; adding left turn lanes on Plank Road and Otts Road at Route 29 (Gravel Pike); realigning Meyers Road to intersect with Township Line Road; realigning Seitz Road to form a T-intersection with Meyers Road; installing new traffic signals along the project corridor; and improving the roadway alignment in three locations. 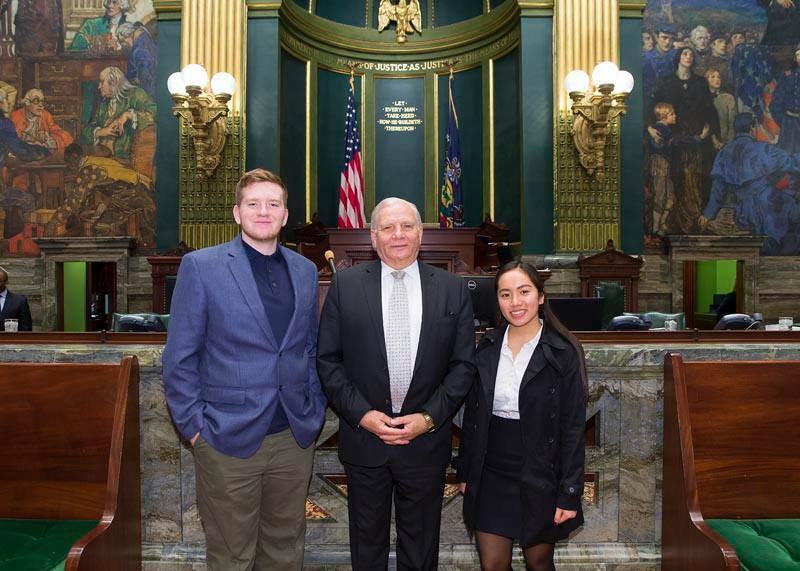 Senator Mensch welcomed Zach Whitehair and Alyssa Choing to the Pennsylvania Senate. You can watch their introduction here. With this season’s dramatic swings between unseasonable warmth and typical winter conditions, Pennsylvania Department of Transportation crews continue to address the growing number of potholes on state-maintained roads. Motorists can report potholes and other highway-maintenance concerns on state routes at customercare.penndot.gov or by calling PennDOT’s toll-free hotline at 1-800-FIX-ROAD (1-800-349-7623). To learn about how potholes form and how PennDOT addresses them, view the department’s “Pothole Patrol” video on its YouTube page, www.youtube.com/pennsylvaniadot. Eligible veterans who served on active duty in the Persian Gulf Theater of Operations from Aug. 2, 1990 to Aug. 31, 1991, have six months to collect a special one-time payment to honor their service and sacrifice. Applications for the Persian Gulf Conflict Veterans Bonus are due by Aug. 31, 2018. The bonus program, administered by the Pennsylvania Department of Military and Veterans Affairs (DMVA), pays $75 per month for qualifying, active-duty service members, up to a $525 maximum. For personnel whose death was related to illness or injury received in the line of duty in Operations Desert Shield or Desert Storm, there is an additional $5,000 available to the surviving family. Service members who were declared prisoners of war may also be eligible for an additional $5,000. Since 2008, about 9,500 Persian Gulf Conflict veterans have applied for and received a bonus for their war efforts. Individuals who received a bonus or similar compensation from any other state are not eligible for the Pennsylvania program. The Pennsylvania Department of Transportation (PennDOT) opened online application for REAL ID pre-verification for customers who are interested in obtaining a REAL ID and obtained their first driver’s license or photo ID card after September 2003. PennDOT may already have electronic documents on file for approximately 35 percent of its total customers, individuals who received their first PA driver’s license or ID card after September 2003. PennDOT has begun sending postcards to eligible customers inviting them to visit PennDOT’s Driver and Vehicle Services website to request that PennDOT confirm their documents are on file. PennDOT customers without internet access may call PennDOT’s Customer Call Center at 717-412-5300 or visit a PennDOT Online Messenger for assistance with pre-verification. If PennDOT does not have all the customer’s documents on file, they will receive communication from PennDOT informing them that they will need to bring their REAL ID documentation into any PennDOT Driver’s License Center beginning in September 2018 for in-person pre-verification. REAL ID is optional for Pennsylvania residents. A federally-accepted form of identification (whether it’s the forthcoming Pennsylvania REAL ID driver’s license or ID card, a U.S. Passport/Passport Card, a military ID, etc.) must be used as identification to board a commercial flight or visit a secure federal building on and after October 1, 2020. Until May 2017, Pennsylvania law prohibited PennDOT from complying with the federal REAL ID Act. Signed into law by Governor Tom Wolf, Act 3 of 2017 repealed this prior legislation and allowed PennDOT to seek REAL ID compliance. Pennsylvania is under an enforcement extension from the Department of Homeland Security (DHS) until October 10, 2018, which means that Pennsylvanians may use their current driver’s license or ID card to board commercial aircraft or enter federal facilities that require ID until at least that date. Pennsylvania will continue to apply for extensions from DHS until becoming fully compliant with the REAL ID Act. PennDOT is committed to offering REAL ID products at the customer’s option in spring 2019. 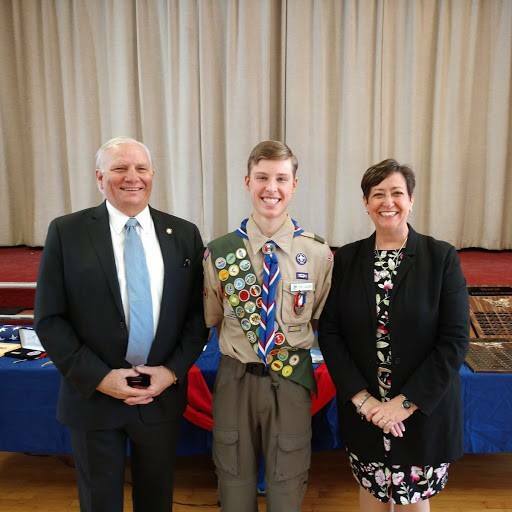 Senator Mensch and State Rep. Marcy Toepel congratulated Eric Olden on his Eagle Scout Court of Honor.